Considering getting a German Spitz? The German Spitz is a compact dog breed with a Nordic canine appearance. It has a wedge-shaped head, pricked ears, a double coat and distinct bushy tail that curls and rests over its back. It weighs 7 to 22 pounds and stands 18 to 55 centimetres at the withers. 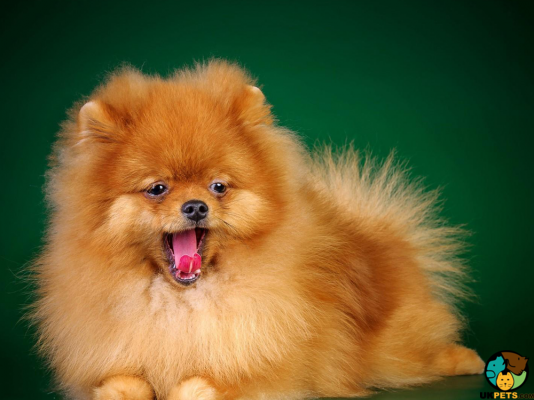 The German Spitz’s temperament is generally intelligent, alert and confident. It is also popular as a watchdog. Heavy shedding is a normal occurrence, so it is quite high-maintenance in the grooming front. This dog breed has a lifespan of 14 to 18 years. 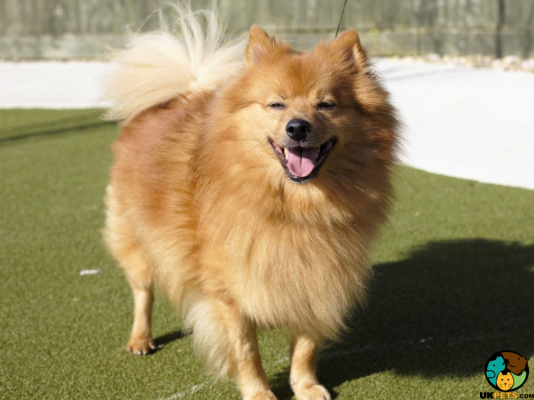 Are you looking for a German Spitz to take home? Here is a brief background of this smart dog breed with a bushy tail. The German Spitz is believed to have descended from the Samoyed ancestry that was bred with other Nordic herding dogs. Reports suggest that they were brought to Holland and Germany when the Vikings invaded during the Middle Ages. The German Spitz quickly spread across Europe and was bred with local herding dogs, and the offspring is the foundation of the German Spitz we see today. The German Spitz became widely popular in the 1700s when they were utilised as fashion accessories by the British Society led by Queen Victoria, who was its huge fan. Although at that time it was debated whether the Queen owned a Pomeranian or a German Spitz, it was later confirmed that it was the latter. 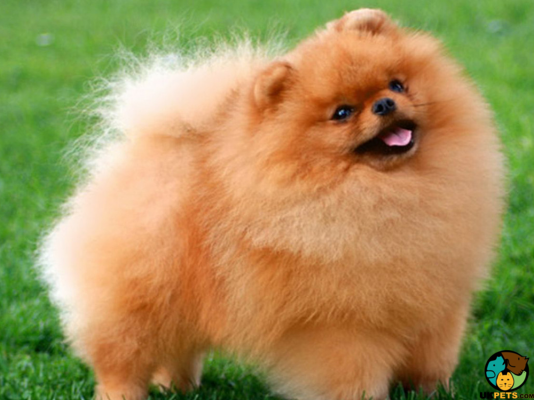 With Queen Victoria's ascent to the throne, more breeders bred smaller dogs to develop toy breeds such as the German Spitz. All their efforts led them to develop a dog that was to become a Pomeranian. The German Spitz’s popularity slowly declined during World War I but was re-developed in Europe in the 1970s. In 2006, the breed was officially recognised by the United Kennel Club as having two varieties: Klein and Mittel. Later in 2009, the American Kennel Club followed suit with its recognition and breed acceptance. 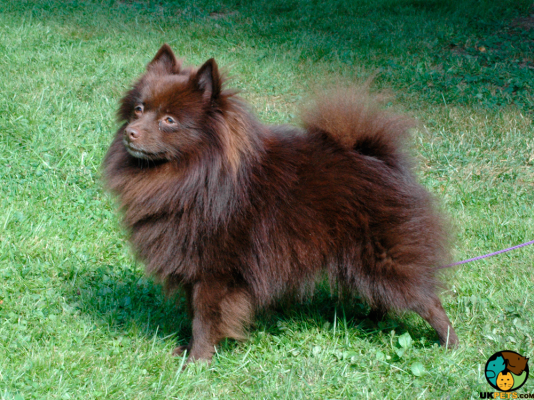 The German Spitz has two varieties: Klein (small) and the Mittel (medium). It weighs 7 to 22 pounds and stands 18 to 55 centimetres at the withers. This type of dog breed has a compact build with a typical spitz appearance such as its fox-like head and a bushy tail that curls over its back. It has small, triangular ears that sit erect on top of its head. Eyes should be dark and alert with a curious expression. Its body must be small but sturdy, never fragile or delicate. When it comes to its coat, the German Spitz should sport a thick and medium-length double coat with short and plush hair on the head. The coat is comprised of a long and harsh topcoat and a soft and woolly undercoat. The coat around its neck and chest is somewhat abundant. The coat comes in a variety of colours including black or white and shades of cream, orange, gold, blue or brown and sable. Coats can be parti-coloured with a white base and shades of colours mentioned above, or they can be bi-coloured in black and tan. 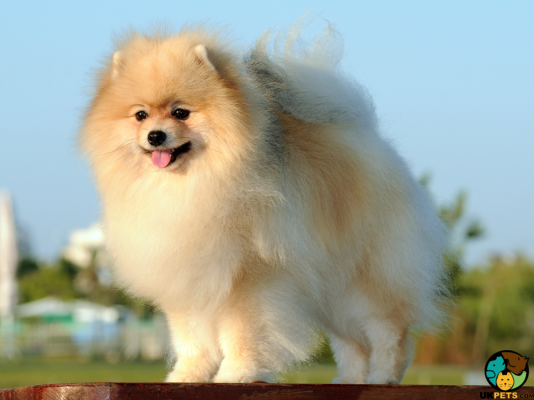 Since the German Spitz has a double coat, it tends to shed its undercoat twice a year. Brushing daily will take care to prevent tangles and matts from forming. It is also important to have their coats trimmed occasionally, which is best to leave to a professional groomer. Aside from coat care, basic care such as trimming the nails every few weeks, brushing the teeth with a vet-approved toothpaste and cleaning the ears will make sure the German Spitz will be in good health overall. The German Spitz is an excitable, animated dog that is at the same time independent. It is smart with a good sense of humour, however, can be difficult to live with if one is unfamiliar with the breed. Like most of the Spitz breeds, the German Spitz can be a nuisance barker when bored, so make sure to give it plenty of attention, a job to do and toys to keep it busy. However, this tendency to bark excessively also makes it an excellent watchdog. When it comes to training, it has a stubborn streak so it can prove to be a bit challenging unless you can keep training fun with lots of positive reinforcements. The German Spitz is smart and has a mind of its own, which often means it may want things his way. It will be great around children when it is socialised early and properly raised to be a well-rounded dog. However, any interaction between this breed and small children must be well-supervised to make sure no one gets hurt when play becomes too boisterous. The German Spitz has a strong prey drive, albeit it was not bred as a hunting dog. It is prone to attack smaller pets like birds, hamsters, ferrets and cats. Although, it can get along well with cats if raised together with it. A typical serving for an adult German Spitz is 2.2 cups of quality dry dog food daily, split into two meals to avoid bloat. Make sure to feed it with a balanced diet that is tailored to its size, age, weight, metabolism and activity level. Always consult a veterinarian for dietary and nutritional assistance. The German Spitz requires high-quality food formulated for its small size. There are countless of trusted dog food brands in the market but to make sure you are giving it the best, find a brand that is highly recommended by veterinarians. The German Spitz is a generally healthy breed with a life expectancy of 14 to 18 years. However, all dogs can potentially develop or inherit genetic diseases. These diseases or health issues include the following: eye disease, Epilepsy, Patella Luxation and mouth and dental problems. It is an energetic little breed, but it does not require a great deal of daily exercise other than a 30-minute walk daily to meet its exercise requirements. It will also need plenty of mental stimulation to make it happy as well as keep it from destructive behaviour caused by boredom. The German Spitz will also love to run around as often as possible to use up its energy. With this said, make sure the back garden fence is secure to prevent the dog from escaping. Dog ownership is not a joke. It involves both emotional, physical and financial commitment. When you buy a German Spitz puppy, it follows that you have to set aside a budget to raise and take good care of it. If you don't want financial hurdles ahead in association with raising a dog, make sure you are aware of some costs you will have to prepare for. 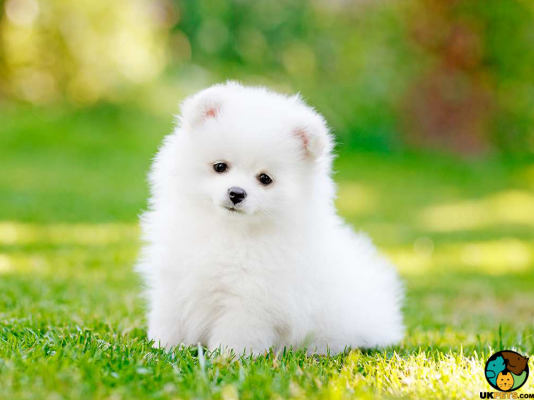 For example, the initial cost of a German Spitz puppy that is well-bred is somewhere around £300 to £900. While getting a pet insurance is crucial for future emergencies, you get to choose your coverage, which will cost you £20 to £40 a month. Dog food will take a huge chunk of your budget since quality dog food for a breed such as the German Spitz will set you back £40 to £50 monthly. On top of all these are veterinary costs. Annual costs for veterinary consultations including its initial vaccinations, boosters and neutering when the time comes is around £900 a year. Is a German Spitz Right for You? The German Spitz is a small dog with a distinct plumed or bushy tail. It is a nuisance barker, which makes it an excellent watchdog. The German Spitz is a smart, energetic and confident dog breed. It sheds heavily and will require daily brushing and occasional trimming. It has a stubborn streak, which will prove a challenge during training. It gets on well with children and can only get along with cats when socialised early.